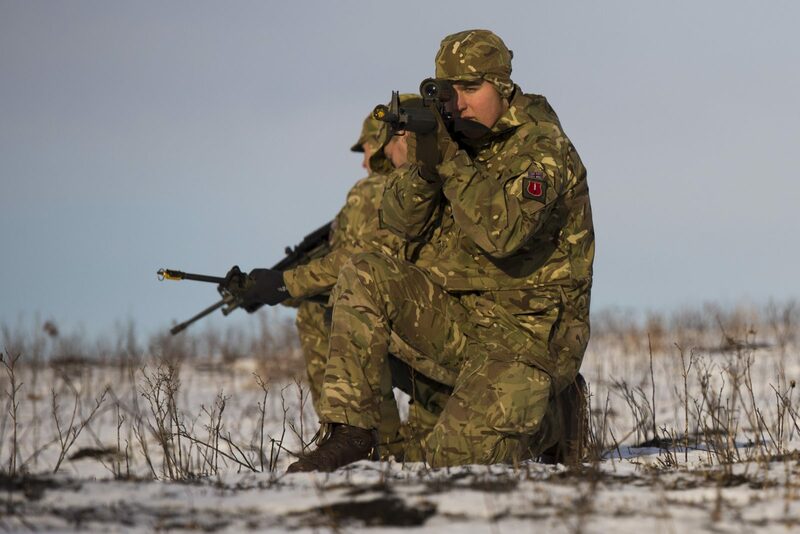 Being able to conduct an effective patrol is a key skill for any soldier. It is with that in mind that the Canadian Manoeuvre Training Centre (CMTC) at Canadian Forces Base/Area Support Unit Wainwright welcomed troops from across Canada and abroad to put their winter warfare skills to the test during the biannual Canadian Patrol Concentration (CPC). “The Canadian Patrol Concentration takes the essence of what it means to be a soldier, compresses that into two days, and then stretches it over 40 kilometres. It’s a superb opportunity for soldiers to show their skills and what they’re made of,” said Chief Warrant Officer Eric Poissant, Regimental Sergeant-Major, CMTC, in a press release. The 2018 CPC ran from November 15 to 25, and drew 17 teams from Canada – five from each of 2nd, 3rd and 4th Canadian Divisions, and two from 5th Canadian Division. Seven international teams, which included two Dutch teams and one each from Italy, Latvia, Poland, the United Kingdom and the United States. 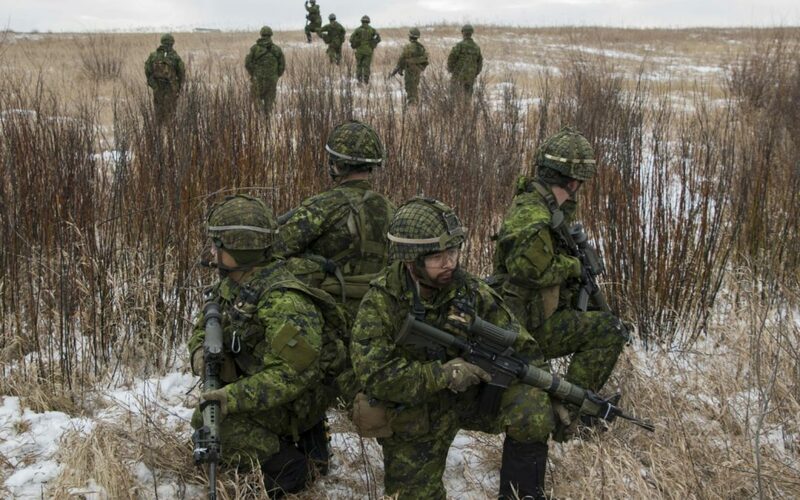 To complete the CPC course, teams were tasked with conducting a 40-kilometre patrol through the Wainwright training area, essentially cut off from the rest of the world and completely immersed in the scenario, explained Lieutenant Matthew Howse, CMTC Public Affairs Officer. They were not permitted to have any technology with them beyond the basics of a patrol kit. They were required to navigate the course with only a compass, map and their own orienteering skills, so no personal phones or GPS devices to map where they are were permitted. In fact, when the teams got to their final pre-course camp, they were searched to ensure they did not try to sneak assistive technology onto the course. However, the teams were provided with a GPS transmitter so their locations could be tracked by the CPC “game masters,” and in case of an emergency requiring medical assistance and/or extraction from the course. The CPC was run and monitored out of the Joint Operations Centre (JOC), headed by Lieutenant-Colonel Mark Lubiniecki. LCol Lubiniecki explained that for 2018, the CPC scenario was designed to replicate patrolling a demilitarized zone (DMZ) in the border region between an Allied nation and a hostile state. The hostile state was doing incursions into the DMZ, and the patrols were to keep watch over what was going on. Teams follow a general course with objectives, but it was not an “event-based” task – it was not a race to reach and complete the objectives quickly. Instead, the objectives were “hidden” in interactions the teams encountered, and there was no way to be sure an interaction was an objective. While there were set objectives with times attached – e.g., rendezvous with a friendly force within a specific time window—teams were tasked with being thorough and effective above all. LCol Lubiniecki also explained the JOC kept tabs on the teams’ progress, and could reroute teams if they got too close to the one in front of them. The teams were not able to interact with each other, to maintain the integrity of the event. LCol Lubiniecki outlined the general course a team competing in the CPC would follow. First, a team was flown or driven into the insertion location to begin its patrol. While on patrol, each team would have to meet up with friendly forces and conduct a reconnaissance of the area. At one point, the team was loaded into friendly force trucks, which would be ambushed by the enemy, complete with battle simulation explosives (BATSIM) to make the simulation as real as possible. At this point, the team needed to repel the enemy, secure the area and treat the wounded. “The ambush really tests leadership at all levels,” LCol Lubiniecki said. Later on the course, the team linked up with another friendly force to cross a river, before again needing to face off with the enemy. Finally, after more patrolling on their own, the team once again encountered its friendly force allies and were extracted from the course. At this point, the team was debriefed and recounted the lessons it learned and what it experienced to LCol Lubiniecki’s team. This allowed the team to process what happened, and let CPC staff evaluate how the team performed, as well as to take those notes for use in devising the format and plan for the 2020 edition of the CPC. LCol Lubiniecki explained he and his team want the CPC course to be challenging but not impossible – it needs to be able to test the skills and motivation of the teams, while also encouraging the international teams to request permission from their governments to send teams in the future. The final stage of CPC for each team was an awards ceremony where they learned how well they did. The teams are ranked, but ultimately they’re competing against themselves, so there is no “winner” of the event. Following the awards ceremony on November 20, in which the Latvian team was presented with its bronze certificate, patrol commander Pulkvež­leitnants (NATO equivalent of Lieutenant-Colonel) Marcis Strautnieks spoke about the experience through company commander Kapteinis (NATO equivalent of Captain) Andre Bruveris. As the first Latvian team to take part in CPC, there was a lot to take in, he said. The hardest part of the course was near the end when the team had to climb a hill. “It shows who is who,” Pulkvež­leitnants Strautnieks said. Kapteinis Bruveris added he was impressed with the CPC and intended to press the Latvian armed forces to consider sending a team again. Having a team of new recruits would make things easier, he added. Of course, there is always some trepidation when it comes to a new experience like the CPC. While the CPC is a competition, he said it’s important to remember who and what they’re competing against. “We’re not competing against the other teams, we’re competing against ourselves and our own abilities and they’re [the other teams] doing the exact same thing, they’re giving it their all, we’re giving it our all, and at the end of it we’re playing the game,” he said. So how did Sgt Whotton think his team would perform? Different teams had composed themselves in different ways, and MCpl Pollon’s 3 PPCLI team opted to bring together a mix of experienced members and junior soldiers, in order to get different perspectives on the exercise and get the most out of it. 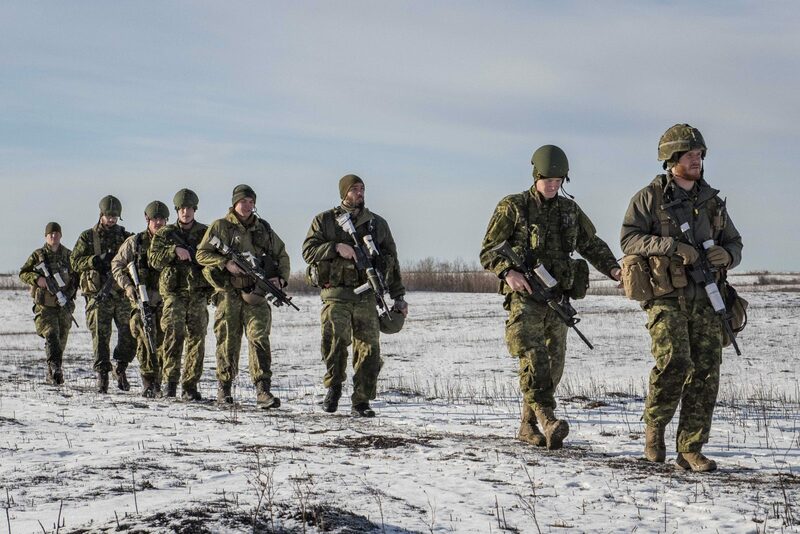 As Canadians taking part in an outdoor exercise in wintry weather – Wainwright was hovering around 0°C during 3 PPCLI’s time on the course – MCpl Pollon’s team had a bit of an experience advantage over the international teams. “This is second nature to us,” he said. But he did counter that assertion by acknowledging there are times when Canadian troops do exercises in warmer climates and it’s the locals who are in their element. Even so, he said succeeding at the CPC in winter is about being prepared and staying disciplined. “It’s a matter of taking control of my team and ensuring they’re drying their feet, switching their clothes and facing those elements,” MCpl Pollon said.